At East Coast Dormer, we believe in GREEN… and we understand that how you remodel makes a difference. How we plan, what we build with, and how we build… has an immense impact on the environment, on human health, and on your budget. By adopting green building strategies, we can maximize both economic and environmental performance. Green construction methods can be integrated into buildings at any stage, from design and construction, to renovation. However, the most significant benefits can be obtained if an integrated approach is taken at the earliest stages of a building project. Building Green is a practice whereby the design and construction of a building promotes the economic health and well-being of your family, the community, and the environment. It’s a smart step towards personal economic rewards, and most importantly …thinking Green has positive social and environmental ramifications as well as asserting your commitment to the future and the way we will live for years to come. How you remodel makes a difference. Upgrading furnaces, cabinets and toilets means less fossil fuel pollution, reduced resource depletion, and fewer health risks. Plus, Green remodeling is more energy-efficient, more resource-conserving, healthier for occupants and more affordable to create, operate and maintain. Environmental benefits – such as improving air and water quality. 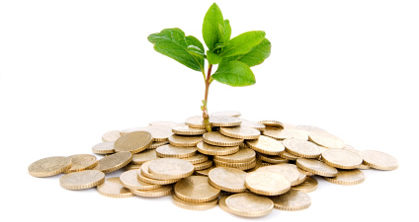 Economic benefits – by helping to reduce operating costs. Social benefits – by enhancing occupant comfort and health, heighten aesthetic qualities, and improving overall quality of life. THE GREEN FUTURE IS HERE! GREEN BUILDING PRINCIPLES ARE CHANGING HOW WE THINK, CONSTRUCT, AND USE OUR HOMES. IN FACT, STANDARD BUILDINGS ARE RAPIDLY FACING OBSOLESCENCE AND OWNERS MUST ACT NOW TO PROTECT THEIR INVESTMENTS. SOON, FINANCIAL INSTITUTIONS AND INVESTORS WILL USE NEW VALUATION METHODOLOGIES TO QUANTIFY IMPORTANT GREEN BUILDING FACTORS LIKE PRODUCTIVITY AND LONG-TERM LIFE CYCLE COSTS WHEN DETERMINING REAL ESTATE VALUES. HOMEOWNERS ARE TURNING TO GREEN IN GREATER NUMBERS TO CONSTRUCT HEALTHIER AND MORE ENVIRONMENTALLY FRIENDLY HOMES THAT INCREASE IN MARKET VALUE AT A FASTER RATE THAN TRADITIONAL HOMES. Features of ENERGY STAR qualified new homes. 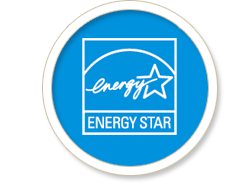 To earn the ENERGY STAR, a home must meet guidelines for energy efficiency set by the Environmental Protection Agency. These homes are at least 15% more energy efficient than homes built to the 2004 International Residential Code (IRC), and include additional energy-saving features that typically make them 20-30% more efficient than standard homes. With home buyers increasingly interested in Green building – improving the way that homes and homebuilding sites use energy, water, and materials to reduce impacts on human health and the environment – energy efficiency is a good foundation on which to begin.  SCHEDULE A TOTALLY FREE CONSULTATION TODAY !